Can we do something lovely today? Quite a standard text message to receive from my darling friend Amy on a weekend morning. Oh course it must involve food- that goes without saying. I usually opt for Cajun chicken, roasted peppers and cream cheese in warm arctic bread and probably a curly wurly milkshake. 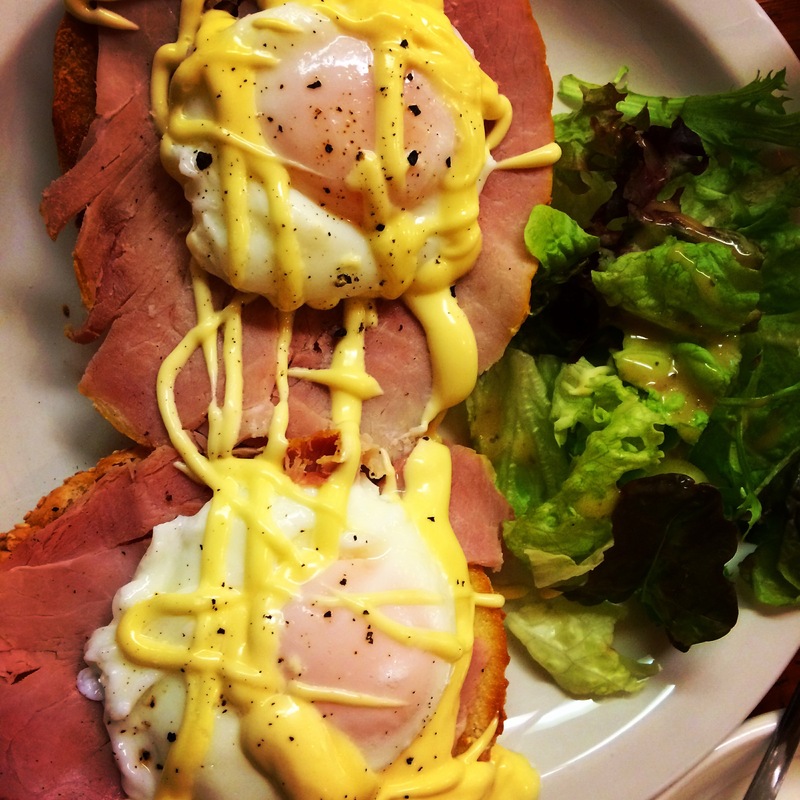 Today, however, it was the brunch time classic eggs benedict. 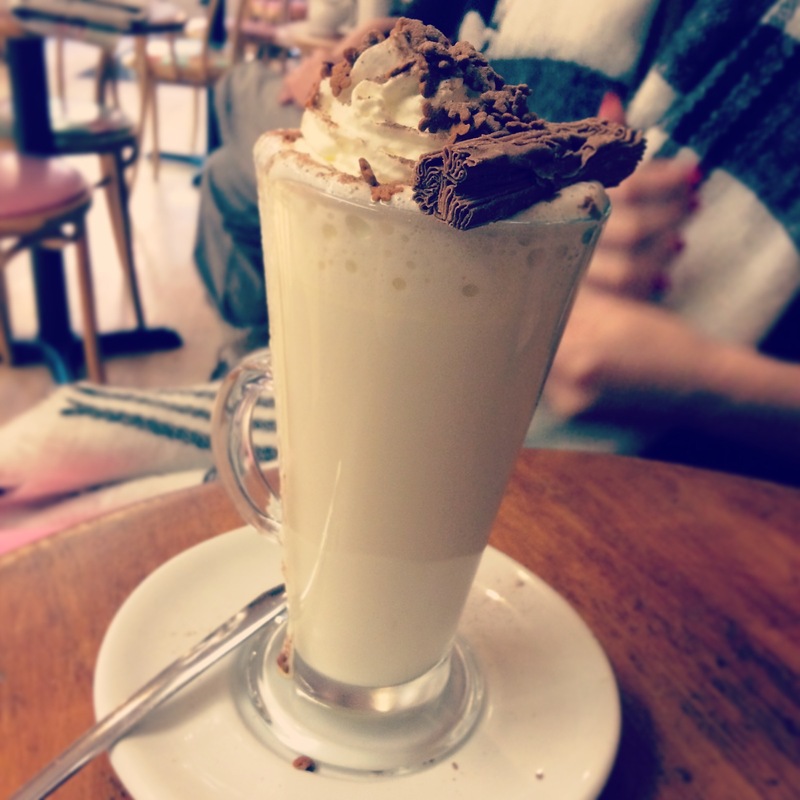 I washed mine down with a pot of tea, and Amy with a milkybar white hot chocolate, which went down an absolute treat by all accounts. I absolutely adore this little café with all it’s sweet little decorations on the walls and the ceiling. There is outdoor seating which is wonderful in summer for indulging in a cheeky cream tea or even an ice cream from their outdoor stand. It’s amazing to think that such a darling place can survive when in recent years the town planners have allowed at least 3 coffee shop chains to invade our little town, one of them is actually next door! To me, it just shows that Serendipity has earned it’s reputation and proves that independent establishments can hold their own against the big boys. 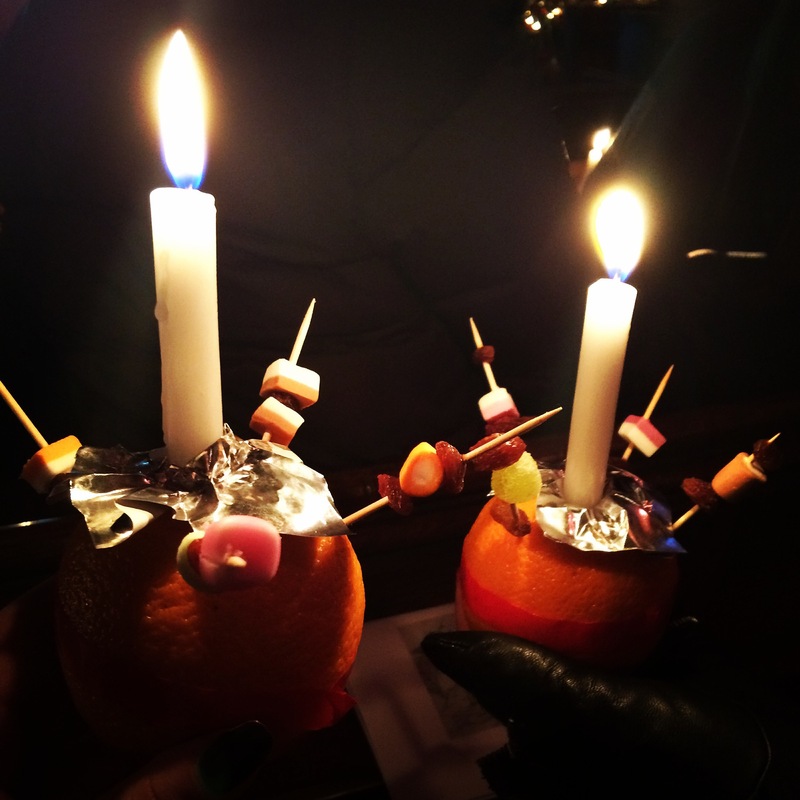 Following an afternoon of leisure we sped down to the village church for the Christingle service. Not ones usual style admittedly- flappers are usually sneaking back into the house after a night out while the oldies are getting ready for church.